Iron is a silvery white, solid metal, though when found in local ore it commonly appears brown, sometimes nearly black. It’s chemical symbol, Fe, is derived from ferrum, the Latin word for iron. By volume, iron makes up 34.6% of the earth, more than any other element. Just because we call our local iron Salisbury ore, it doesn’t mean it’s only found in Salisbury! Salisbury ore is the name given to deposits of iron found in a relatively narrow belt extending south from Vermont along the Massachusetts/Connecticut/New York borders. In Connecticut, we find Salisbury ore in Canaan, Kent, Sharon, Cornwall, Salisbury, Norfolk and North Canaan. Why and Where Do We Find It? In order to understand why we find abundant iron in the Northwest Corner towns, we need to go back to the origins of the earth – the study of Geology, which provides the true beginning to the iron story. We find rich deposits of iron in the Northwest corner because of the patterns of rock formation and movement from as long ago as 570,000,000 years! The development of the Salisbury ore deposits began in the mid-Ordovician Period when most of the region was under water. Over time large quantities of sediments, some rich in iron, settled in the silts and muds of the youngest bedrock formations. Because of long-time exposure to water and the shifting movements of the earth, iron ores were formed. Even though the various ice ages that moved across northern Connecticut rounded off our jagged mountain topography, and cut furrows and valleys into the land, most Salisbury ore is still found underground. How Does Ore Become Pure Iron? Since iron ore comes out of the mine mixed up with other kinds of rocks and sediments, it must be processed to become useful. Early in the industry’s development, iron was processed or smelted, in forges by heating the ore in a charcoal fire, then hammering it to drive out the impurities. Bloomery forges, named in Germany because the final product looked like a flower or “bloom”, reduced the ore directly to solid iron and liquid slag (slag is a waste combination of iron, charcoal and sediments.) Bloomery forges were made of stone and stood about 8 feet high, with an opening for forced air blown from bellows powered by a water wheel, and a chimney to allow gases to escape. While Bloomery forges do a good job of making pure iron, they can’t make a lot of iron. In 1762, the first Blast Furnace in Connecticut opened in Lakeville. The construction of a blast furnace forthe manufacture of pig iron is more difficult than the operation of a forge. A blast furnace consists of a stack made of large stones. The stones must be built up on a deep foundation to hold their heavy weight. A minimum of two ground-level openings in the stack were needed; one large opening to let the melted iron and slag (waste product) out of the furnace, and another to let the air in so a hot fire could be maintained. The openings to the furnace stack were usually shaped like arches for strength. A stone hearth was built on the bottom of the stack, leaving an opening for a nozzle to carry in air from the blast pipe. This nozzle was called a tuyere. The inside of the hearth had to be lined with special heat-resistant brick called refractory fire brick. The interior of the stack was lined with sand and rubble to help the furnace stay hot. Once the stone work was finished, a bridge had to be built from the top of the charging wall to the top of the furnace stack. The charging wall was built next to the furnace stack, as high as the top of the stack. By building a bridge from the top of the charging wall to the top of the furnace, workers were able to dump the ore – or charge – directly into the top of the furnace stack. After the charging wall was built, most of the furnace was enclosed in wood buildings to keep the furnace safe from rain. A building called a casting shed, with a sand floor, was built out from the area next to the opening where the liquid iron poured out, called the casting arch. A water wheel was used to pump the large bellows needed to force air into the fire was nearby. When the construction of the furnace was complete, it was ready to be fired. A charcoal fire was built in the hearth. The blowing mechanism was started, and workers began dumpng charcoal from the top house (built over the top of the furnace stack) through the tunnel head and into the furnace. Gradually small amounts of iron ore and lime were added. Once the furnace was heated, it was in full blast. At regular intervals, the charge, consisting of iron ore, charcoal and limestone, was dumped into the stack top. Temperatures were raised to melt the metal. The charcoal served as fuel for the fire and helped to purify the ore. The lime attached itself to ash and other residues to form slag which floated on top of the iron and could be easily seperated from it. Blast furnaces made Pig Iron. When the hot liquid metal was tapped or poured from the furnace, it flowed into an indentation in the sand bed called a sow and then into a series of smaller, perpendicular indentations in the sand called pigs. When the pigs had cooled enough to hold their shape, they were broken from the sow and stacked. After that they were loaded into wagons, weighed and taken to the foundry where they could be used for casting or refined into wrought iron. Wrought iron is a kind of iron made in a forge, either directly from iron ore or from pig iron. Wrought iron is pulled or stretched or hammered to make it into useful objects like nails, pokers or hooks. In 1728, surveyors were sent to the western lands from Hartford. Their main jobs were to determine borders and establish townships. During that first survey trip, traces of iron were found in fresh diggings around woodchuck holes. In 1731, John Pell and Ezekiel Ashley began exploring the western section of Salisbury. They were rewarded with the discovery at Old Hill (later known as Ore Hill) that would prove to be the largest and richest of the deposits of iron later to become known world-wide as Salisbury iron. In 1732, a wily businessman named Thomas Lamb came to the area from Springfield, Massachusetts. Lured by the discovery of iron, Lamb purchased over 5,000 acres of land and water privileges on the Salmon Fell Kill in Lime Rock. Lamb’s workers mined ore from what was originally called “Lamb’s Three Acre Grant.” Later the mine became Hendrick’s Ore Bed, then the Davis Ore Bed or Davis Mine. Ore from the mine was moved 4.4 miles to Lime Rock in bags carried on horseback. In 1735, Thomas Lamb began smelting iron at his bloomery forge in Lime Rock’s Furnace Hollow. Although Lamb didn’t stay long in the area, it was his success that laid the foundation for others to follow. From these humble beginnings the area prospered as one of America’s most important early mining and refining centers. Blessed with the critical resources of waterpower, iron ore, limestone for flux, and lumber to provide the necessary charcoal, the industry flourished. Sharon’s iron industry, already many decades old, received a great boost in 1822 when Leman Bradley of Falls Village obtained land and waterpower rights in Sharon valley along Webatuck Creek for the purpose of constructing a blast furnace, the first in town. 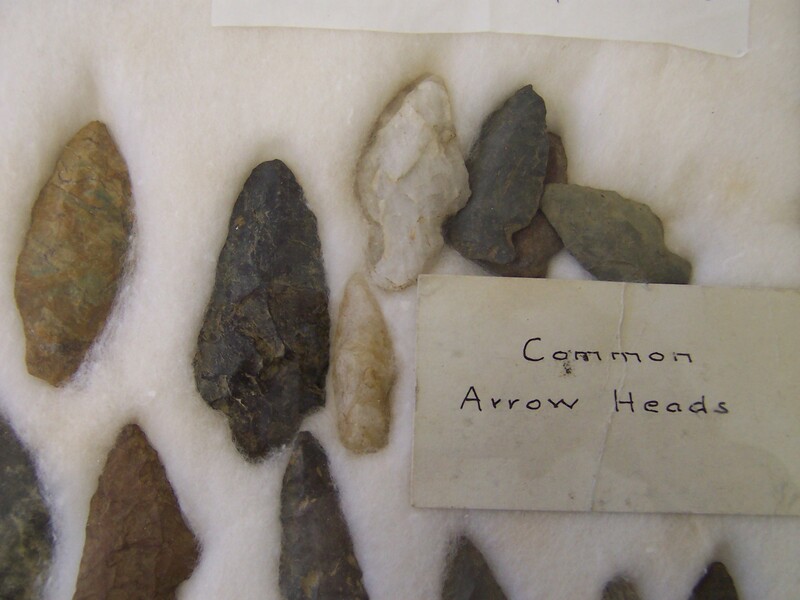 Beginning with an initial purchase of $7,000, he later acquired additional land containing ore (just east of Indian Mountain), timber, and lime. By 1825 Bradley’s workers had built a large dam, creating a ten-acre pond, along with a 1,500-foot race with overshot wheel and pumping station to power the blast. The furnace was built of Stockbridge marble and fueled with charcoal. Bradley operated the site for only a few years, however, and by the late 1820s began selling off his holdings. The furnace later passed to Salisbury’s Horace Landon who maintained production until 1872. In 1863, the furnace was enlarged and converted to hot blast, a more efficient process. 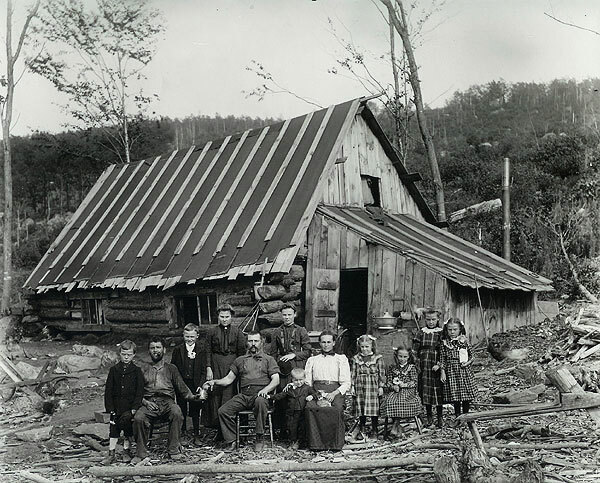 In the early 1870s, the Sharon Valley Iron Company (owned by the Barnum and Richardson Company) acquired the furnace. Hiram Weed opened a second furnace in Sharon in 1845, located .4 miles from the west terminus of Caulkinstown Road. It was not long in blast after 1856. Ultimately, the iron industry faced severe and finally insurmountable obstacles. The close of the Civil War brought an end to government orders, however the Sharon Valley Iron Company continued to produce iron for railroad car wheels. Iron for wheels alone was not enough and furnaces began to close, including the ironworks in Sharon Valley in 1898. Introduction of the Bessemer process, expansion of the Midwestern iron and steel industry, and the high cost of ore and fuel all made Connecticut iron increasingly uncompetitive in national markets. The Barnum and Richardson Company/Salisbury Iron Company, which consolidated almost complete control over the region’s furnaces and mines during this period, struggled against the odds finally declaring bankruptcy in 1925. Why Did the Northwest Corner Become the Perfect Location for a Thriving Iron Industry? The Northwest Corner became a center of iron making because it had the perfect combination of raw materials, people-power and energy sources. First, there was an immense amount of high-quality iron ore. Second, there was a readily available power source from the many little rivers which are found throughout the area. A good, reliable source of power was necessary to power the forges, helve hammers, foundries, grist mills and saw mills. A stream needed enough water flowing through it to survive the driest seasons, and the water needed to be moving with enough speed. Rivers such as the Salmon Kill, Wachocasttinook Brook, Blackberry River and Macedonia Brook were perfect resources. Lastly, there needed to be a good source of charcoal which could be made by slow burning of native trees; lime and marble; hearthstone, refractory brick and molding sand. All of these materials were available nearby. The American Association for State and Local History (AASLH) selected, Visions of Iron, as the 2009 Award of Merit winner by the Leadership in History awards committee. The AASLH Leadership in History Awards is the nation’s most prestigious competition for recognition of achievement in state and local history.